from 3 pcs. 21,77 EUR ea. from 10 pcs. 20,13 EUR ea. 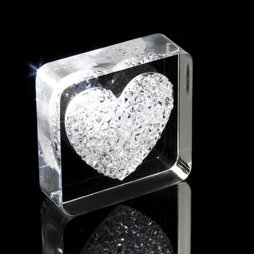 The sparkling diamond heart is not only a head turner, it also holds on to love notes and other memos. Also available in heart shape.